The July live period has come and gone, but it is difficult not to think back to some of the events from the past month and be impressed by the performances by many prospects for so many different teams. 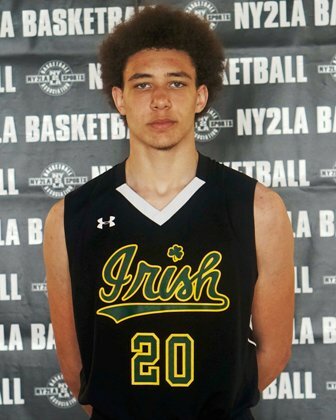 In this overview you can read about some of July’s prospects who really played well and likely improved their stock in the recruiting circle with their effort, skill and play. Alexander-Moncrieffe showed throughout the week at Summer Jam that he’s a young player on the rise with a very high ceiling as he continues adding pieces to his game. His ability to run the floor, slash to the hoop and finish at the rim was evident in their games, and he displayed some decent mid-range skill. The physical tools Alexander-Moncrieffe showed off were enticing for scouts. Anderson continued to improve his play and the looks he started getting as a result with his play in July. He has work to do putting his body together and playing more physical up top defensively, but he has some really good offensive skills with the way he can shoot the ball both off the dribble pull up and coming off screens and letting it fly. It was all in effect once again during the Next Level. Baisden was a fun young guard prospect to watch compete at Next Level. He has some really nice playmaking skills and plays the point, but is kind of a combo guard with his ability to shoot the ball. Baisden made some really nice plays attacking the hoop, including an excellent back-down into a turnaround jumper in a defender’s face in a clutch situation. He should get plenty of looks the next couple years playing aside Patrick Baldwin Jr. at Sussex-Hamilton, and his play in July indicates he will shine brightly doing so. Byhre played some of his best basketball of the year the couple weeks in July. He rebounded the ball really well both on offense and defense, showed some improved footwork with a nice feel for sealing up defenders and then making the catch and finish. Byhre even improved his mid-range shot enough to force the defense to have to respect that option when he caught it around the high-post/elbow areas. Clanton has really nice potential and already plays with excellent passion and athleticism, combined with improved skills. 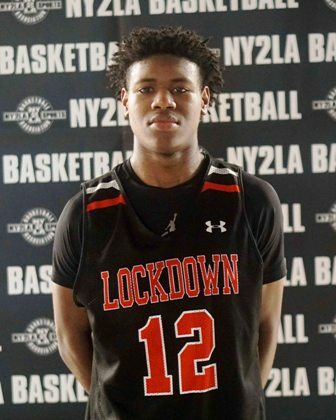 At times, Clanton would take over in spots with his ability to slash and get to the rim where he used good length and jumping ability to make plays around the basket. He also showed he can shoot the ball and play off the bounce, rounding out his game well with still room to improve in becoming more and more consistent. 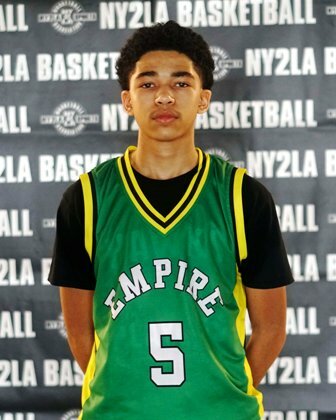 Cole played with really great energy throughout the Summer Jam and made a lot of nice plays. His athleticism continues to be a building block for his game, but he displayed some ability to shoot the ball, he played with good instincts and had a number of nice finishes at the rim both from gliding down the baseline for the play on the rim, or cleaning up the offensive glass. He also timed out shots well defensively for blocks. Conway is a young player with big-time potential and some nice physical tools to work with. 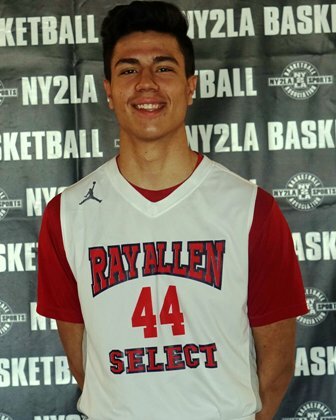 He has great length and his skill level from the spring to summer took a big jump, including more confidence in his shot away from the hoop. He played well defensively around the basket and was a force on the boards, and then made some shots offensively. Grant played with a lot of energy at the Next Level Invitational, and in doing so was constantly a threat to score the basketball for his team. He displayed a pretty consistent outside shot, but was formidable when playing downhill and getting to the cup. Grant could finish through contact, he could blow by and finish with touch, or play with the pull-up game a bit. Hagan made some really nice plays for Lockdown at the Next Level. He scored off the bounce with some nice moves to the rim, and was also able to knock down some big shots for his team. He showed some good athleticism and was developing a nice feel for the game. Hebb had some really solid and exciting games for 3D Empire as they finished up the Association and then battled through the Next Level Invitational. The young guard prospect just played solid from start to finish, making plays with his shooting, getting to the rim in transition and battling defensively with hustle and effort. When he got hot, he was lights out at times. Holt continued his strong development with his play throughout July. He was really good with the ball in his hands and displayed his ability to make plays either driving to the basket or hitting shots from outside. Ivory has been playing at a high level for awhile now, but really showed out with some play this summer. With good size and some nice athletic tools behind his game, Ivory displayed an ability to make plays at each level on offense. He was shooting the ball well with confidence, attacking the basket and showing good body control in traffic. He also played well on the glass for his team which was good for the scouts to see him affect the game in different ways. Klesmit was really strong for the Blizzard, making some excellent plays for his team. The young guard prospect has good size overall as a combo guard, and showed a good feel for the game. He shot the ball really well from the perimeter and was nice from the mid-range. The other ability he brings to the table is being active on the offensive glass as a guard and getting second opportunities around the rim with hustle. Millender played well in the spring, but seemed to up his game even more in July. He played with even more confidence and had a take-over mentality at times for his team where he used his handle and his instincts to find spots on the floor to score from, shot the ball well and was getting after it defensively. He also shared the ball well at times, finding the open man and making passes on target to get his teammates involved. Nixon really got after it in July with some excellent play. He was aggressive with the ball in his hands constantly and made some really nice plays as a result. Nixon used his handle and quickness to get by defenders, he was active on the ball defensively, and shot the ball well overall to rack up points to help his team. 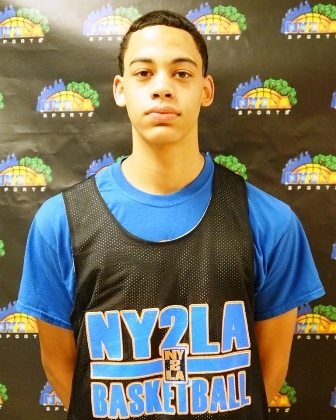 Payton was a force inside for a Meanstreets team that went all the way at the Summer Jam. With his size and aggressive nature in the paint, Payton postered a few defenders with strong slams, and was otherwise ripping down rebounds. He blocked shots, he showed some good touch around the basket when he wasn’t dunking it, and was able to knock down a couple shots away from the hoop as well. Ramsey has a lot of basketball talent inside him and he let it out in the summer with some nice games. Ramsey has good size as a guard and was able to make plays going to the rim, using strong handle and some good burst to the hoop to get to the middle and make plays. Shooting-wise he will look to get more consistent, but when he was hot he was tough to slow down as he was drilling from the three-point range and beyond, but also knocking down mid-range jumpers. Treadwell played really solid for Kingdom and made plays for his team with good control and activity on both ends of the floor. Treadwell proved he can score it by taking it to the rim off the dribble, or by pulling up and shooting it from different levels. He was also excellent dishing the ball around and getting others involved. Ulis is still looking to make his shot more consistent, but that ability is certainly there. However, his ability to get to the rack and finish in a variety of ways was really impressive in a couple games at the Summer Jam. Ulis has good length and a nice feel for playing in traffic, where he was able to slice by defenders and then finished plays with short shots or good touch at the rim. Warren made some really nice plays for his team in July with a couple big games, and overall consistent effort and play. The guard prospect showed his scoring skills by making plays going to the basket as well as hitting shots from beyond the arch. Maybe his biggest impact was on defense though where his pressure and anticipation proved advantageous, as he was able to come away with a number of steals and deflections to turn a couple games around for his team.